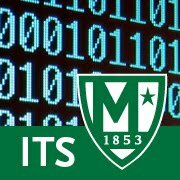 Manhattan College ITS Blog: Keep Control of Your Jaspernet Account... Make Sure that Your Personal Email is On File! Keep Control of Your Jaspernet Account... Make Sure that Your Personal Email is On File! We want to make sure that your correct personal email address is on file so that we can verify your account when you are not on site. This is critical if you are troubleshooting Jaspernet account access remotely. Please follow the instructions here to update your personal email address on file.